The spread of the International Style in 1950s Turkey is often interpreted as an inevitable outcome of the so-called Americanization of modernism. A closer look at the conditions of practice and knowledge production in architecture, however, shows that the appropriation of modernism was problematic. Referring to therepeated imitation of Istanbul’s Hilton Hotel, one of Turkey’s first modernist buildings, the critic Şevki Vanlı at the time coined the term “Hiltonculuk” (Hiltonism) to mock an uncritically and widely accepted architectural ideology. Kaçel, in contrast, speaks of “common-sense modernism” to denote in the affirmative the values shared by Turkish architects.With reference to Antonio Gramsci’s critique of intellectuals and Karl Mannheim’s sociology of knowledge, Kaçel depicts architects not as creative, autonomous figures but as intellectuals whose practices need to be analyzed in relation to the social relations in which they are embedded. 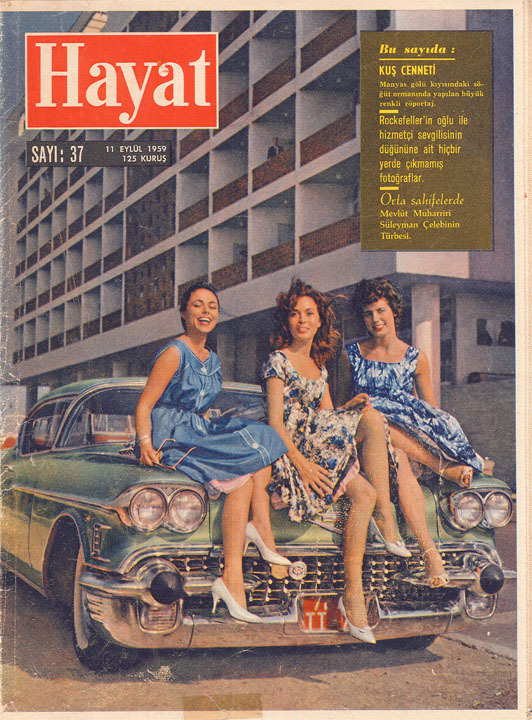 The Istanbul Hilton on the cover of the weekly Hayat, 1959.